WE HAVE CEASED TRANSLATING JIANG YE DUE TO PROLONGED CARPAL TUNNELING PAIN. Jiang Ye is a novel by Mao Ni, and is completed. The previous chapters 1-50 were all translated by Binggodude & Corp., located here. Raws are located here. Has there been any notice on who will pick up this novel going forward? for your note. this novel has prologue. someone translate it long time ago. we do our best to try to exemplify mao ni’s sentence structure in english. we could drastically corrupt it into more common english but have chosen not to. however, if there are any errors, please let us know. Our translation syntax and style is the closest English equivalent to the Chinese author’s (Mao Ni) style whenever possible. He uses a lot of advanced literary techniques, some of which do not directly translate into English very well or at all. If we were to completely destroy the rhythm, flow, tone, and imagery among other stylistic and literary elements, we can make it seem more coherent in English, but we feel that you would be losing the essence and spirit of the author’s style. 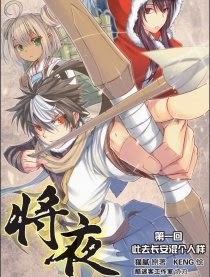 Is this Project still being translated? Mecha Mushroom Translations Create a free website or blog at WordPress.com.